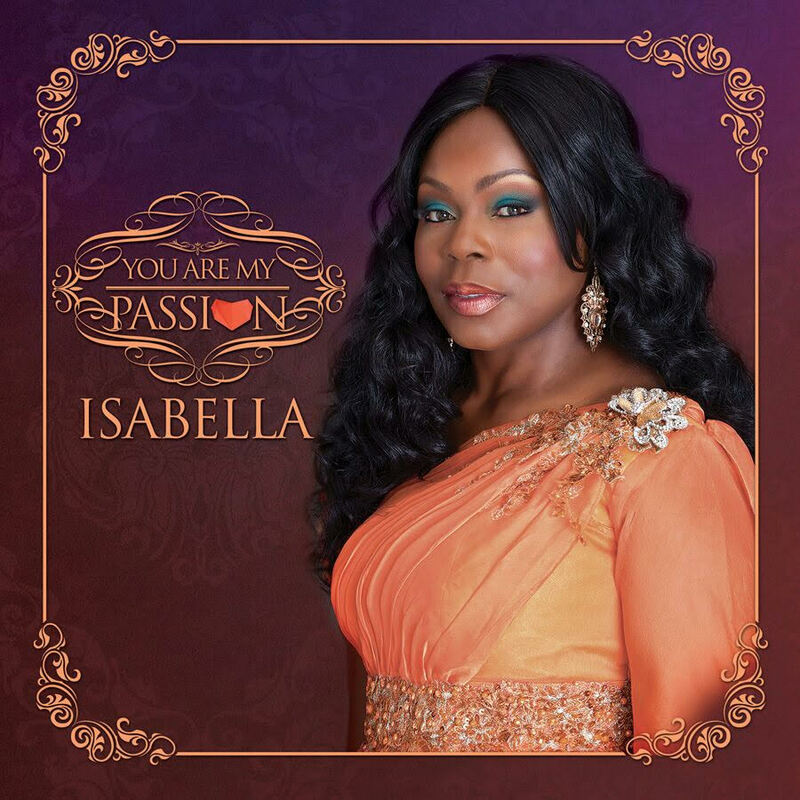 Popular multi-award winning Psalmist and International Gospel Recording Artist, Isabella, unveils the bold and colourful Arabian themed cover art for her sixth album titled "You Are My Passion". The album will be dedicated and released at For The Groom III worship concert which is happening in London on Saturday 07 November 2015. 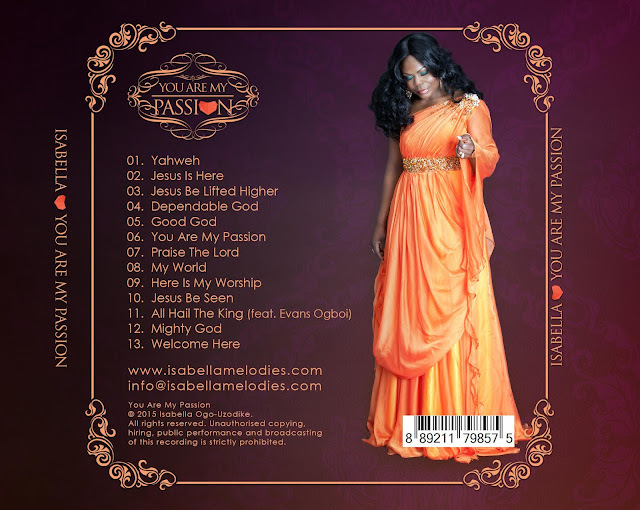 The album comprises of thirteen contemporary praise and worship tracks all written by Isabella and produced by Evans Ogboi for Simplicity Records. "These songs were birthed from a deep, intimate place with the Lord. They are songs of adoration, worship, praise, warfare and thanksgiving that will revive the spirit man and awaken the worshipper within" says Isabella. To get a taste of the new album, watch the video to one of the singles from the album titled "Jesus Is Here" http://youtu.be/PIEsiKOHVcA produced by multi-award winning director, Uvi Orogun.